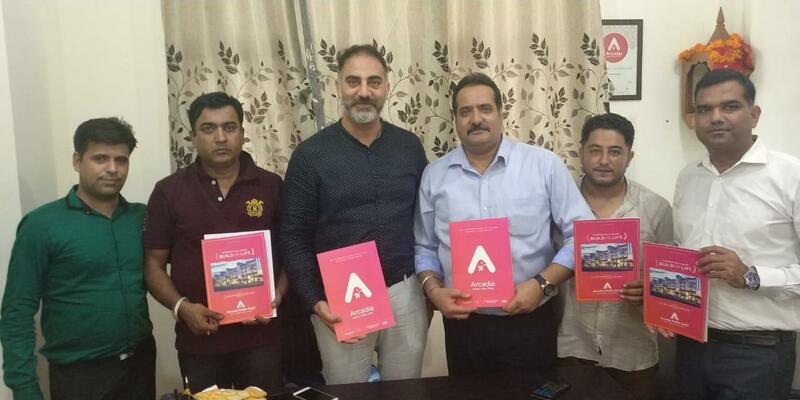 Jammu: Primary Estates, A Chandigarh based leading Realtors and Developers operating under the brand "Arcadia", opened its first office in the state of Jammu and Kashmir at Janipur Jammu. The office was inaugurated by Sh. Vikas Choudhary, president BYJM J&K in the presence of Sh. Gulshan Wadhawan MD & CEO of Arcadia group. Others who graced the occasion included Mr. Sameer Sharma VP Arcadia Group, Ashwani Razdan, Sanjay Thakur, Arvind, Umesh Talashi (Jammu Partners). Speaking on the occasion Sh. Gulshan Wadhawan asserted that Company's focus is on providing high-quality homes at affordable costs. He hoped that the company will get a positive and overwhelming response from J&K.